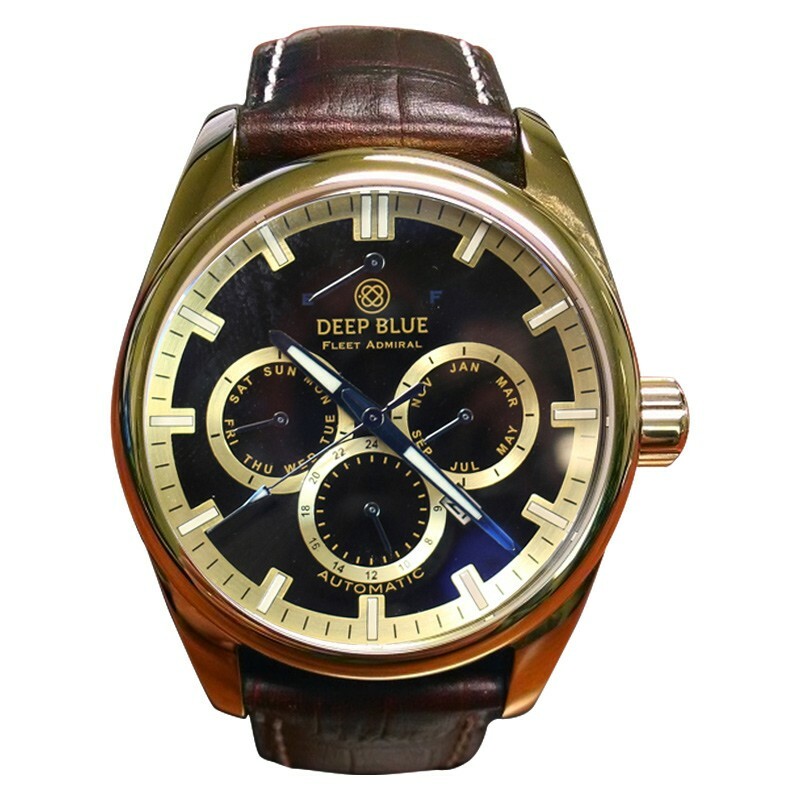 The Fleet Admiral Watch is a stylish entry-level watch, which is practical to wear for most occasions. Dimensionally the timepiece measures 45mm x 14mm and is designed to make a bold statement. 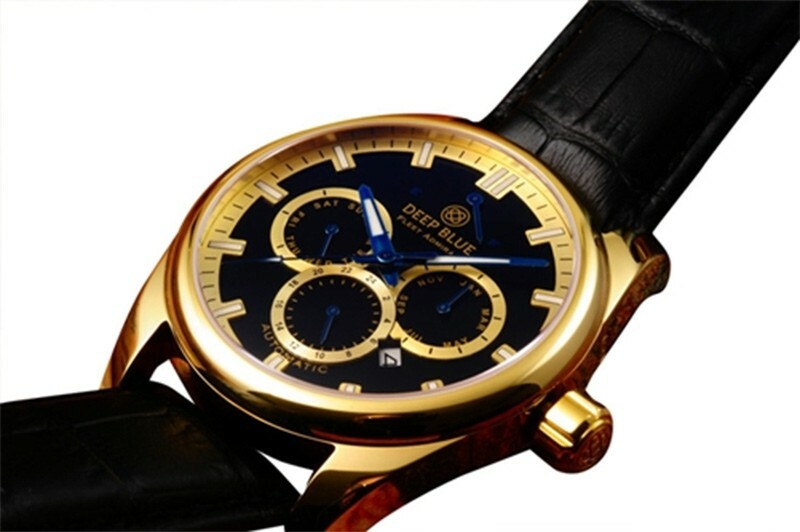 What makes the watch so attractive is sporty black dial, with contrasting gold chronograph sub counters. 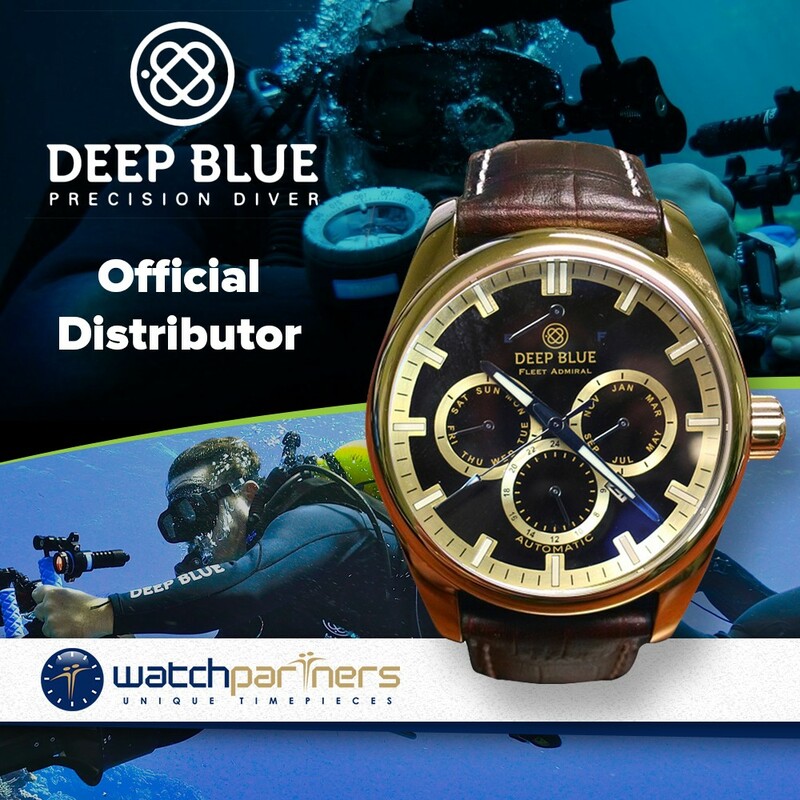 Other interesting features include raised indexes (with Superluminova Luminous coating) blue hour/minute hands and large date window. Beneath the highly polished (gold PVD treated) 316L stainless steel case lies a reliable Japanese Miyota 9100 Calibre. This 26 Jewel self winding movement is visible through the sapphire crystal case back and oscillates at a frequency of 28,800 vibrations per hour. - 26 jewels , 28,800 VPH Japan Made Movement, Automatic and Hand Winding, Stop seconds(Hack).